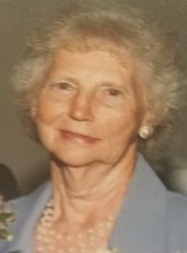 Margaret Alice “Marge” Hopper, age 90. Logansport, passed away at 2:30 p.m. on Sunday, April 7, 2019, in Miller’s Merry Manor. Marge was married to Leonard “Bill” Hopper, who preceded her in death on January 21, 2008. Marge was retired from RBM (White-Rodgers). She was a member of the American Legion Auxiliary, VFW Auxiliary and the RBM 30-year Club. Surviving are a son, Ricky Lee (Mandy) Hopper, Logansport; daughters, Debra Lynn (Bob) LaDow, Greenwood, Dawn Lea (Todd) Howard, Lafayette; nine grandchildren and several great-grandchildren.